Vivo V15 Pro will be launched on February 20. The company has shared a teaser where the brand ambassador Aamir Khan can be seen using the smartphone and forcing people to give it a second look. Vivo V15 Pro is the highly anticipated smartphone of the year which is scheduled to be launched on February 20. The curiosity level has raised to know more about the phone after the company shared a teaser of Vivo V15 Pro ahead of its launch. 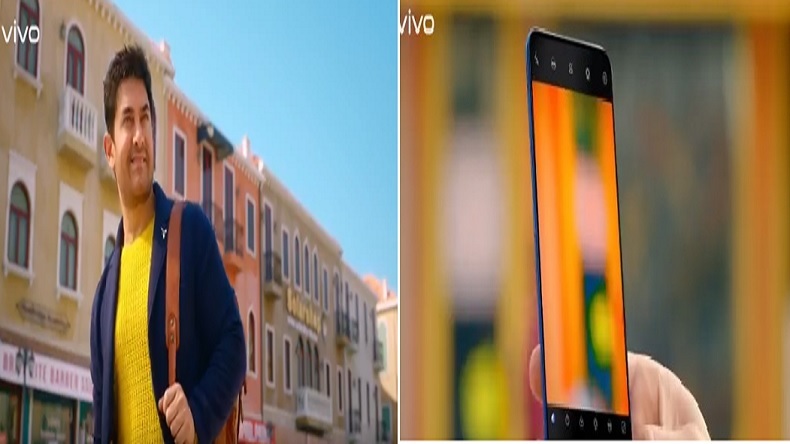 In the teaser, the brand ambassador Aamir Khan can be seen using the smartphone and forcing people to give it a second look. Besides this, the teaser has confirmed various features. Triple rear camera setup is seen aligned vertically inside a black strip while the whole device is being covered with a textured blue coloured back panel. Besides, it has also confirmed that a pop-up selfie camera similar to Vivo Nex along with a triple rear camera module will be featured in the Vivo V15 Pro. A new texted back while the presence of an in-display fingerprint scanner. The smartphone has various features for smartphone camera users to provide convenience while handling the mobile device. Itw as quite evident in the recent, the leaked pictures have also suggested that Vivo V15 Pro will sport a 6.3-inch Super AMOLED Ultra FullView display. It will be powered by Qualcomm Snapdragon 675 SoC. The smartphone will have a storage space of 6GB of RAM and 128GB. The whole packaged with backed by a 3700mAh battery with Dual Engine for fast charging support.